What are your showroom and warehouse open hours and addresses? How can I check the delivery fee? Can you ship anywhere in Australia? What is ATL in regards to delivery/shipping? How does the depot collection delivery option work? How are items packaged for delivery and do you offer insurance? Can we organise our own courier to collect? What do I need to know about receiving the delivery to my site? I have my order in my cart but I cannot checkout now. Can I save my cart? What is a pre-order? How will the order be shipped? How long can you hold items for me? What is ‘Email Me When Back In Stock’? How long will an item be out of stock? How accurate are ETAs (Estimated Time of Arrival) for out of stock and back ordered item? How can I pay for my order? Which credit cards do you accept? Can I place an order and pick up the products at the same time? Why is there such a price difference with your products compared to other retailers? Do you have a showroom to view or buy your products from? If we change our mind can we return the items? What warranty is my product covered for? What happens if one of my products arrives damaged or faulty? Can I install my own products (DIY)? Can I install my shower screen or panel myself? What are some of the things I need to consider about shower screen installations? What is the difference between Base & Actual versions of your Shower Screens? What are your basins made of? What considerations do I need to make when purchasing a natural stone basin? Are there any considerations when installing my vanity? Are your vanities flat-packed? Will I need to assemble them? What are your stone tops made of? Are your stone tops Caesarstone? What do I need to know about ordering a timber top on my vanity? What do I need to know about ordering a natural hardwood timber vanity? Do you have a clearance outlet? For further information, please feel free to call our office to discuss in further detail with one of our friendly sales staff on 1300 884 081. Fontaine’s terms and conditions can be viewed on our website. Alternatively you can email us and we will happily forward you a copy. Once your payment has cleared and you have provided all of the required information including delivery details please allow 1 business day for picking & packing, your order will then be shipped on the next business day. Please note that some payments may take several days to clear which may delay shipment, to avoid delays please review the payment options at the checkout. If we need to confirm any details we will contact you within the next business day after the order is placed. Delivery lead time is 1 business day for picking & packing of your order, then allow an additional 3-5 business days for delivery, from the time payment is received (WA, NT & FNQ please allow 5-8 business days). If your order has not been delivered within this time frame, please contact us and we will follow it up for you. *The delivery times mentioned above are to be used as a guide which are averages under normal circumstances and may vary from mentioned. The product page tab shows you a quick delivery calculator per item. Once your complete order is in the cart, you can check the price for the complete order. Yes, there are no restrictions as to where our products can be shipped within Australia and it is incredibly easy to obtain a delivery quote through our website. Select the Delivery Calculator tab on any Fontaine product page or in your Shopping Cart. Type your post code in the field to get an automatic shipping price. At Fontaine, we have several shipping options available to suit you. Click here for more information about your delivery options. What is ‘ATL’ in regards to delivery/shipping? ATL is an acronym for “Authority to Leave”. Authority to leave is where the person receiving a parcel gives permission to our couriers to sign for and leave parcels that usually require a signature. This means that the courier can leave the parcel outside your door, or in your letterbox. This is the most efficient way to ensure there are no re-delivery or additional fees incurred. By placing an order with ATL method of postage you are agreeing to this method of delivery, please ensure you read our full T&C’s. If this delivery method doesn’t suit you, please contact us prior to placing an order. How does the ‘depot collection’ delivery option work? To make delivery more affordable, depot collection works by sending your goods to a local depot for collection. At the cart page, select 'depot collection', enter your postcode, then choose your preferred depot. Once the items arrive, the courier company will contact you, usually via email, to advise of the delivery and to arrange collection. Once your goods arrive at the depot, the collection instructions will be emailed to you and from there have 10 days to collect your order. After 10 days, if you have not collected your goods, you will be charged a depot fee. We ensure that your order packaged to offer the best protection against damage while they are in transit, however we do offer insurance on all of our deliveries to ensure you are always protected. If you elect to pick up your items or arrange your own courier we cannot insure the goods once they have been signed for (at release/dispatch), so please ensure you arrange your own insurance if you elect to use your own courier. Yes, if you would like to organise your own courier we are more than happy to provide you with the required information, (weight, dimensions, etc.) to make a booking. Please advise our staff of the booking and ensure the courier company has the correct invoice information to avoid delays at pick-up. Fontaine can only provide insurance for our own delivery services, so you may need to discuss insurance options with the courier you’ve chosen. Delivery will be to your front door at ground level only. For safety and insurance reasons our drivers cannot take goods inside or upstairs, so you may need to arrange help for heavy or bulky items. For special delivery requirements please contact us to discuss your needs and we will provide you with a quotation. You may be able to reduce the cost of your delivery if a forklift is available to unload your order, please contact us for further information. No. You must select 'place order', finialise your order and have your payment cleared, then your items will be reserved. To save your cart, create a Fontaine account. Then you can log in and view all your orders from any computer, mobile or tablet. A pre-order is either a new product that is on its way or for products that have been sold out and are waiting to be restocked. When you place a pre-order and the payment is cleared, then the stock is allocated to you. When the item arrives in stock, we will dispatch your complete order. Once you order has been paid for, your stock will be allocated to you. This will ensure we don’t run out of stock and help you make sure you have the items when your project needs them. We can hold you order for up to 8 weeks free of charge. We will need to arrange dispatch of your order within the free storage period. If you cannot arrange dispatch at that time, we can continue to hold your order however you will need to pay a small storage fee depending on the size of your order. Storage fees for orders not dispatched within 8 weeks will be charged at $15.95 per pallet per week, any accumulated storage fees will need to be paid prior to the dispatch of the order. Yes. You will receive an order confirmation via email. What is 'Email Me When Back In Stock'? When a product page features this button it means that this particular product is currently out of stock. By selecting this option, you can provide your email address so our Customer Support Team can notify you immediately once this product is available again for you to purchase. Items that are out of stock can take anywhere from a few days to 10 weeks to restock due to production and transit times. However, in most cases this time frame will be shorter that the maximum cycle, so we encourage you to email us with your enquiry and we will get back to you within 24 hours with a more specific time frame. We can also take pre-orders to ensure stock is allocated to you and you order is fulfilled as quickly as possible. Although we try to provide the most accurate estimates, delivery time for out of stock items can be delayed due to circumstances beyond our control, (changes in shipping schedules, dock strikes, carrier delays, etc.). In the event delays occur, we will do our best to ensure customers with pre-orders are notified as soon as possible with the most accurate and up to date information. Dates are estimates only and we apologise in advance for any delays that may be experienced. Yes, it’s extremely safe. At Fontaine Industries, we provide a secured checkout with Secure Socket Layering (SSL up to 256 bits) for processing your payments online. Once you have added your items to your cart proceed to the check-out and select the PayPal option to make payments either via your PayPal account or via credit card, or select the Bank Transfer option to pay via direct deposit. If you prefer to speak with our sales team and process a telephone credit card payment for your order, please call us on 03 9703 1345. Online we accept MasterCard, Visa and American express via the leading payment provider PayPal. We also accept payment via PayPal and direct bank transfer. In store, we take EFTPOS and Credit Card payments (Mastercard and VISA) or Cash. Note: EFT Bank Transfers payments are not instant, payment will need to clear our bank before we can dispatch goods. Yes, our showroom and warehouse are located at 8-10 Conquest Way Hallam, VIC 3803. Orders can be placed with our staff in the showroom and collected from the warehouse, providing the items are in stock (please allow 5-15 minutes for our warehouse staff to collect your items after your order has been finalised). Payment can be placed in store via debit card, Visa, MasterCard or cash. If you have placed your order online or over the phone please contact us to arrange collection. Pickup is free of charge, but payments for goods must have cleared prior to collection. We can also arrange collection of your order from your closest showroom, however this will need to be prearranged, please allow 3 business days your order to be ready for collection. Fontaine Industries is dedicated to bringing you more for less. Our business is modelled around this core value. As a large percentage of our customers purchase via our online store, we are able to keep our costs down, maintain an efficient operation, and this means we are able to pass these savings on to you! When you buy with Fontaine Industries you are purchasing directly from us - the manufacturer, without you having to pay hidden mark up costs through a middle-man as most of our competitors do. Yes, we have 2 showrooms in Melbourne you are welcome to view and buy our products from. Most of our products are on display, however, some items may not be available from time to time. As we have a large range of products, not all of our items are on display at either of our showrooms, we advise contacting us prior to your visit to ensure the items you are interested in are on display. By selecting Afterpay from the checkout screen, you can pay for your Fontaine products in 4 easy instalments due every two weeks. This method of lay by payment has become increasingly popular with leading online retailers. It's a convenient interest-free lay by service with no fees unless you're late or miss your payments. It's a great option if you can't pay for your purchase in full at the time of ordering or you don't want to take out a lot of money out of your bank account in one go. It is a free service with no interest on the lay by if you pay your instalments on time. Find out more about Afterpay. We offer a 7 day change of mind return policy, for example, if you get the product home and realise that it won’t work within your application, or you simply change your mind, we will accept returns providing that you return the goods within 7 days of purchase, and they are in their original condition and packaging. Items cannot be returned if they are damaged or have been installed. We will refund you 100% of what you paid for the goods. If you have had your goods delivered, and wish to return the items due to change of mind you will be responsible for the return of the items including any return delivery fees, and we can only refund the cost of the item, not your original delivery paid. A 10% re-stocking fee may apply for returns made after 7 days. 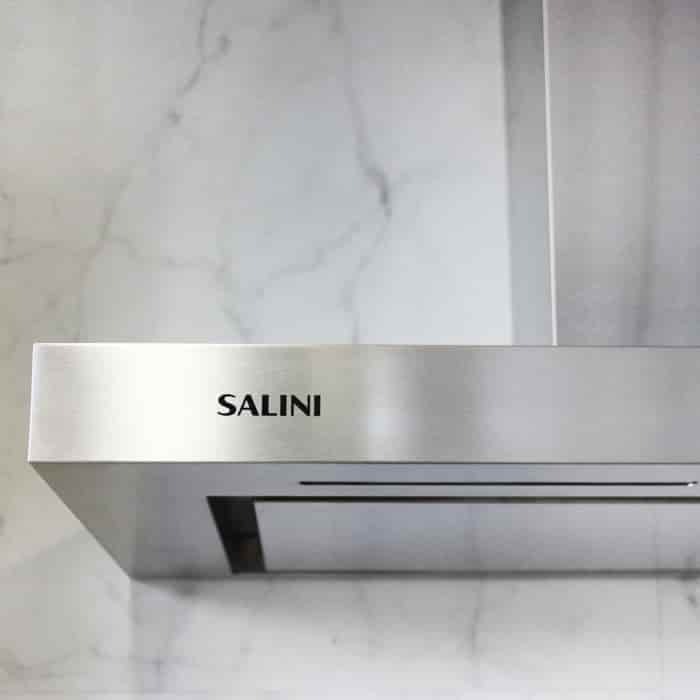 Each product in our range is covered by different warranty terms, we recommend you ask our sales team if you have a specific product warranty enquiry, or you can see our list of warranties listed in our Terms & Conditions. We recommend you check all of your items as soon as you receive delivery or collect your goods, this way any issues can be rectified before any unnecessary time constraints are added that might cause more of an issue later. This way you can also make sure you let us know within the required times specified in our returns policy. We understand renovations and new builds are a stressful time, so we are well versed in issues you may face in your project. We have a dedicated team to help you solve any issues you may have as we aim to ensure all of our customers have a positive experience. We have a customer claims process which helps us ascertain all of the details we need to best help you and your particular issue in the quickest timeframe. Please call our support team to discuss your concerns. Whilst you may install some products yourself, there are strict regulations on certain products. All plumbing and electrical installations and repairs must be carried out by a licensed plumber/electrician by law. Please seek information from your relevant local authorities on regulations applicable to your project. When installing your vanity, cabinets or mirrors, Fontaine Industries recommends using a knowledgeable and experienced tradesperson to complete your installation to ensure your products are installed to relevant building codes and Australian standards, and to best maintain your product warranty. Shower screens must be installed by a licensed glazier in order to meet Australian Safety Standards, be able to receive your Certificate of Occupancy, and to maintain your product warranty. Read our full Terms & Conditions for further information on installation and warranty. We also suggest reading our article DIY Dos & Don'ts. All of our shower screens and panels are manufactured to the Australian standards code AS/NZS 2208:1996 Safety glazing materials in buildings. In order to meet installation Australian Safety Standards, be able to receive your Certificate of Occupancy, and to maintain your product warranty; toughened safety glass must be installed by a licensed glazier. Due to the nature of tempered safety glass, please make sure you take care with the transportation and handling of your goods. Toughened safety glass is designed to shatter into small pieces in order to avoid injury. Although we have multiple designs and sizes of shower screens available, they are generally installed over shower bases or on tiles. 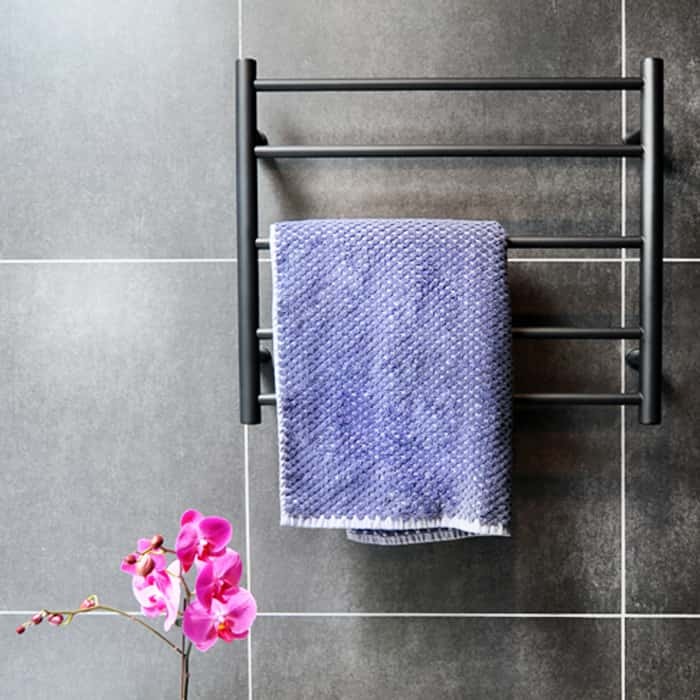 For our shower screens to be used with a shower base, the screen is designed smaller to allow for a variety of finishes and to fit into appropriate shower bases. Please ensure that your installer takes into consideration checkout, sheeting, tile thickness, glue etc to ensure a compatible fit with your selected finishes and base. As we offer multiple designs of shower screens, the way they are installed is dependent on the base. For Actual, shower screens are installed by its actual dimensions and mounted onto the floor tiles. This means that if your shower screen is 900x900 its dimensions stay true to its actual size. 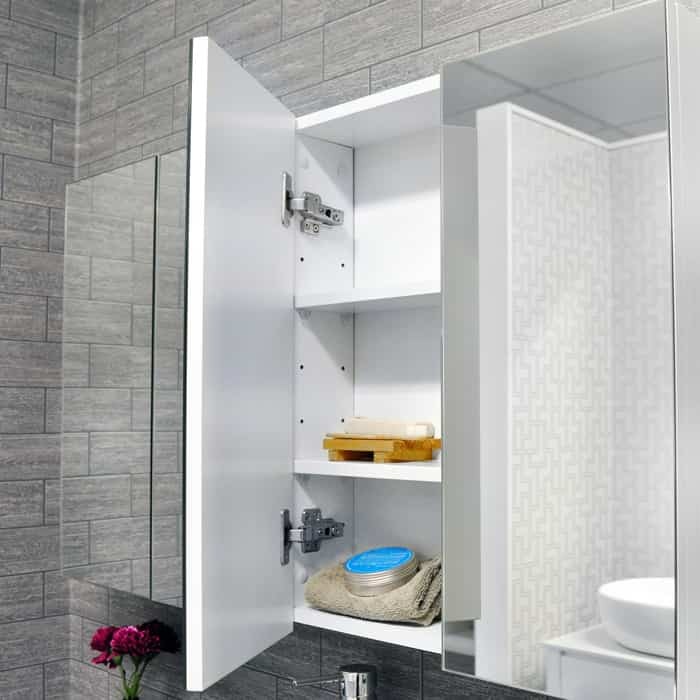 For showers purchased with a Base, the shower screen is designed smaller to allow the appropriate shower base to fit. As a result, it is the base dimensions, that would be 900x900, which would need to be considered for installation as bases may be recessed. It is recommended using a qualified tradesperson to install these products to ensure correct installation and that you comply with warranty conditions. Nanocoating refers to a nanoscale thin film that is applied to surfaces to improve functionality and longevity such as corrosion protection, water protection, self-cleaning capabilities, heat resistance and thermal management. Typically, surfaces, although smooth, are still porous. Nanocoating ensures a superior lifetime of your product. They are designed to enable the smooth, glass-like surface to shield against small and microscopic particles. Items with nanocoating do not form an additional layer on the object itself, but rather becomes one with the object without compromising an items natural glass and transparency offering clear, colourless protection. slow down deterioration given its hydrophobic qualities. 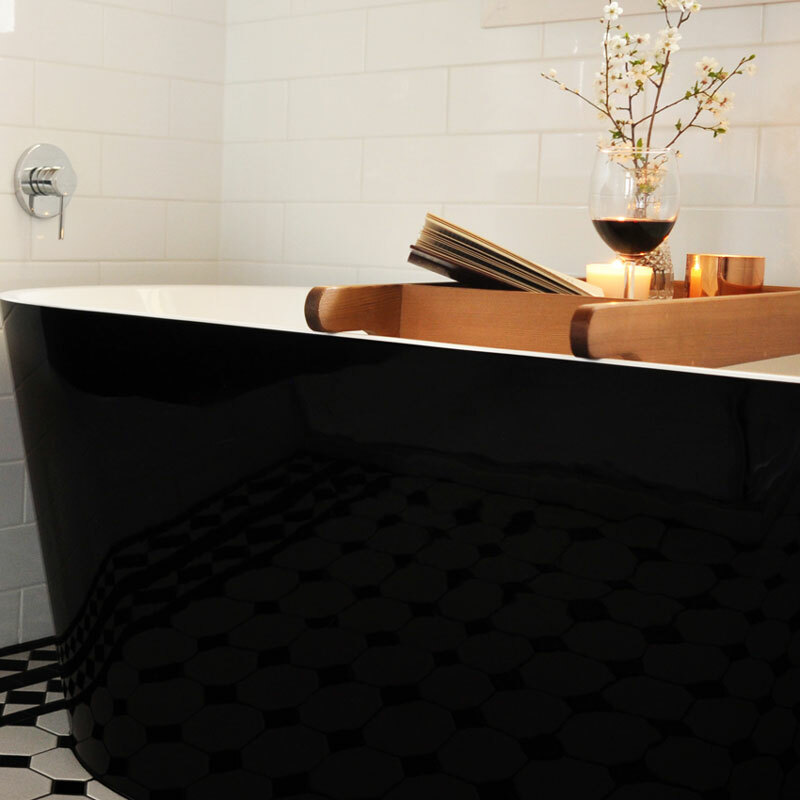 Our basins are made of ceramic, and our ceramic basins are finished in a high gloss (unless otherwise specified). Ceramic is easier to clean and will appear more pristine over time when compared to polymarble basins. 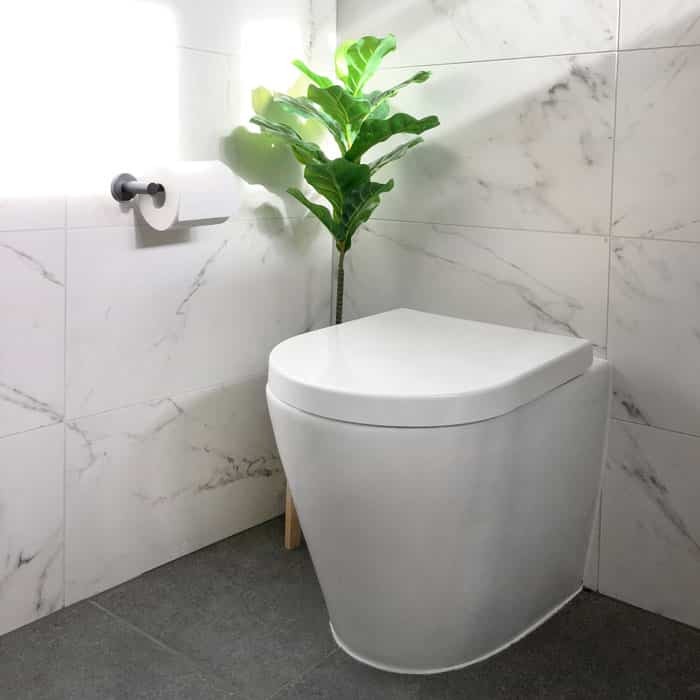 Due to the manufacturing process of natural ceramic, occasionally basins may have slight variations to others in the same range or may not have perfectly crisp lines but these variations are very minor. 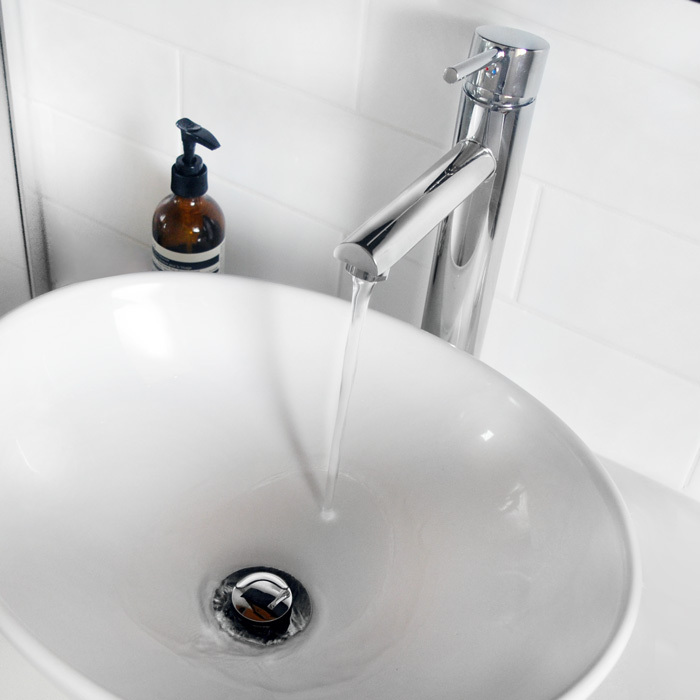 In our view ceramic is still the most superior option for a hygienic, easy to maintain and beautiful basin over time. Natural Marble and Granite are materials created by nature and as a result no two pieces are the same. Each piece is unique and rich in its own character, this is what makes natural stone products so desirable. You may be able to feel fissures and other differences in the stone surface texture, it is important to note that these are not considered flaws, instead they considered a part of the natural character of the stone. Natural fractures are commonly found in natural stone, they are not considered defects, but they may be filled with resin to create a smoother surface, this does not affect the quality of the stone product. It is important to note that natural stone products require special care and as such we do not make any guarantees or warranties against visible ware, grazing, scratching over time, or for natural fractures. All natural products are subject to variation in colour and tone, texture, grain, veining, shading, spotting etc.The surface of marble and granite is porous by nature; extra care must be taken to avoid staining. 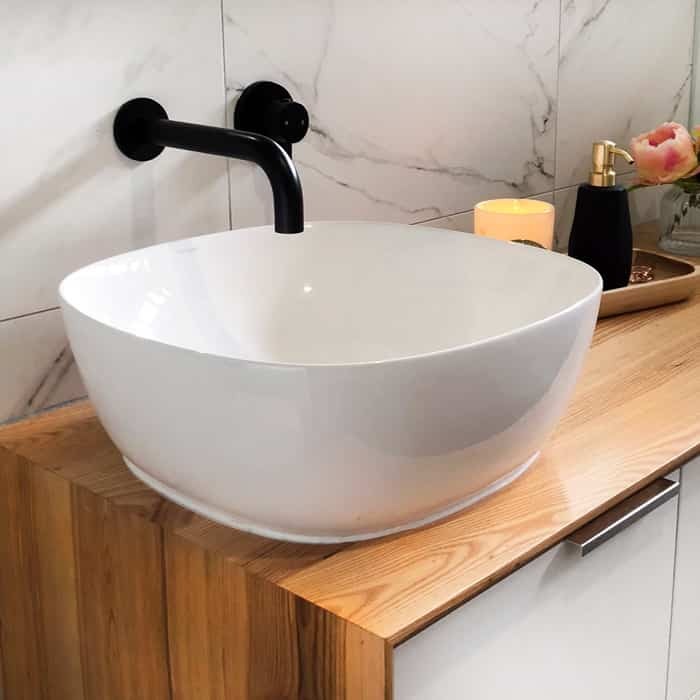 When installing your vanity, Fontaine Industries recommends using a knowledgeable and experienced tradesperson to complete your installation to ensure you products are installed to relevant building codes and Australian standards, and to best maintain your product warranty. Your vanity must be installed on a suitable wall that can provide structural mounting support, and the wall must be completely straight and square. 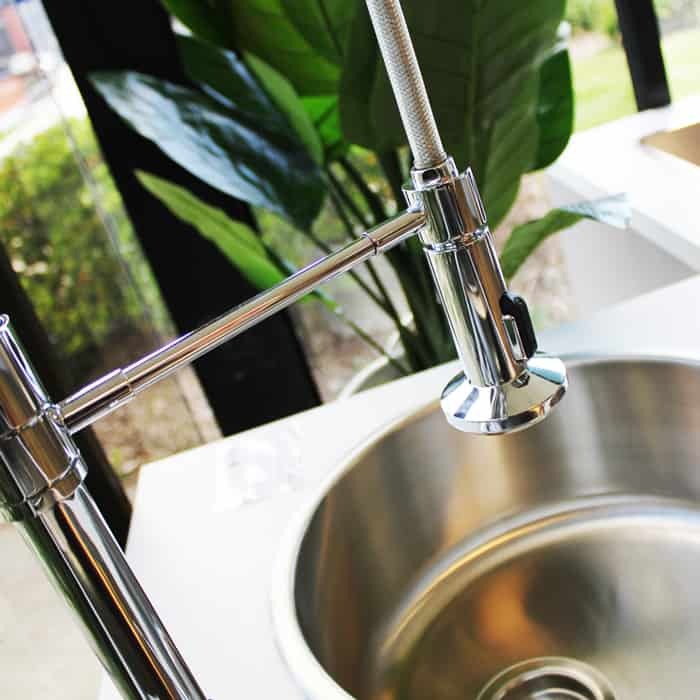 We recommend installing your vanity after your wall tiling has been installed, this is to ensure that any tiling on top of your benchtop will not encroach your mixer tap space. We recommend your bathroom has appropriate ventilation to prevent condensation and damage over time. Please check your products prior to installation (do not install a product with defects) and ensure that you keep your vanity parts in a clean and safe environment to help prevent the installer damaging the product when installing. Are your vanities flat-packed? Will I need to assemble them or are they ready built? Our complete range of vanities are already constructed and ready for installation. We don’t want to add ‘putting your vanity together’ to your already busy schedule! No, thank you! Caesarstone is a licensed brand name, not an actual type of stone, they offer quartz stone bench tops. Our collection of stone tops options are made of quartz stone for the best durability and ease of care. We offer quality stone top solutions at a very affordable price, rest assured you are getting a quality product for a great price. We can also supply natural granite and other materials on special order. Important to note: As our stone tops are made from and/or contain natural materials, there may be slight variations in colours or finishes. These variations may display differently from our showroom samples and sample images online, to the actual product you may receive. It is recommend that you discuss this with our sales team to best manage your expectations. Our standard stone tops carry a 7 year warranty, (please see our terms and conditions for more details). Our timber tops are made using sustainably sourced hardwood timbers. We use American Ash hardwood to create our high quality timber top options for you to enjoy. We normally carry stock in all sizes, in this case there are no additional lead time. However we strongly suggest you speak with our sales consultants to confirm stock availability and your order’s lead time. Our tops are water resistant, but we recommend that all water that may have spilled on the timber top should be wiped and dried straight away. Although a timber top will show more wear when compared to a stone top alternative, the benefits and appeal of a timber top may still outweigh this fact. A worn timber top can still keep its charm and can even increase its personality and appeal over time. And if you do not agree with its signs of age, you can choose to sand it back and repair it when you feel it needs it. We also recommend resealing any surface that has had the seal compromised, as water and moisture from everyday use in the bathroom may damage any exposed area of timber. Cleaning can be made using a damp cloth with warm soapy water. The supplier warranty for these products is 1 year. If any issues arise due to faulty material please contact us immediately, please note warranty does not cover misuse or incorrect installation. See our warranty information for further details and exclusions. Timber naturally will expand and retract over time, by allowing a 2mm gap along the wall join at installation of your timber top will minimise any complications, ensure you finish by caulking with appropriate silicone sealant. Our timber tops are cut and finished to size, however the holes for the basin waste and tap will need to be cut by the installer. This will give you more flexibility for your design, you may to choose to use either a bench mounted mixer or a wall mixer spout. Please contact us if you need the specifications for the holes for your vanity timber top. Our timber vanities are made using sustainably sourced hardwood timbers. We use American Ash hardwood to create our high quality timber vanities. Three coats have been applied of 2PAC polyurethane. The finish is “world class, reliable, high performance polyurethane finishes from Italy’s premier manufacturer”. Our timber vanities are water resistant, all water that may have spilled on the timber top should be wiped and dried straight away. 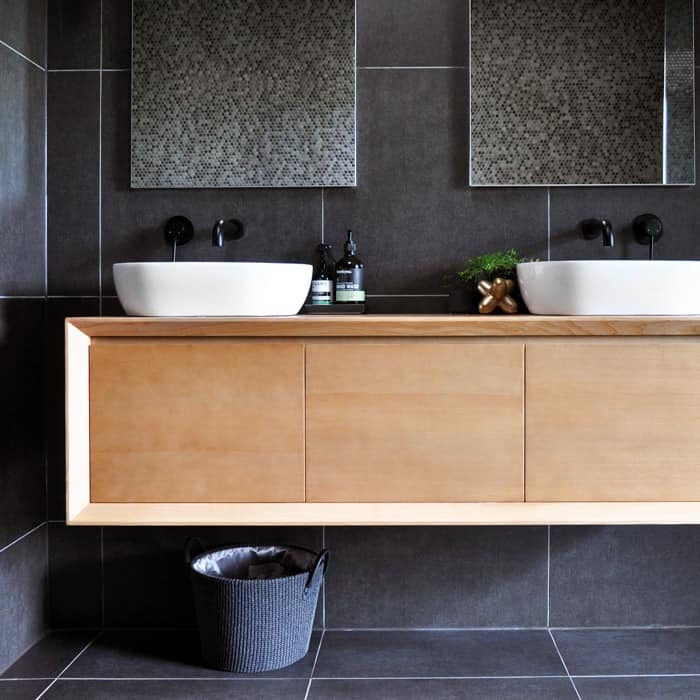 Although a timber vanity top will show more wear when compared to a stone top alternative, the benefits and appeal of a timber top may still outweigh this fact. A worn timber top can still keep its charm and can even increase its personality and appeal over time. And if you do not agree with its signs of age, you can choose to sand it back and repair it when you feel it needs it. We also recommend resealing any surface that has had the seal compromised, as water and moisture from everyday use in the bathroom may damage any exposed area of timber. Our warranty for these products is 1 year. If any issues arise due to faulty material please contact us immediately, please note warranty does not cover misuse or incorrect installation. See our warranty information for further details and exclusions. Due to the solid nature of hardwood timber, our vanities made using natural hardwood are generally heavier than other materials used, structural reinforcement may need to be considered and discussed with installers at the commencement of the project. Also our timber vanities with timber tops will not have any holes for basin waste and mixer and tap so they will need to be cut by the installer. This will give you more flexibility for your design, you may to choose to use either a bench mounted mixer or a wall mixer spout. Please contact us if you need the specifications for the holes for your vanity timber top. Yes! The Fontaine Factory Outlet is our clearance depot of products that come at a heavily discounted price. The products include stock that is ex-display, discontinued, factory refurbished or factory seconds, and products that have dents or blemishes. Our Outlet is located at our Hallam location where you can visit, and a sales member will take you to the clearance items. The Fontaine Factory Outlet is only for customers who visit, products will not be shipped interstate. Products can range anywhere from 40% off to 90% off. Prices may vary depending on the severity of scratches, blemishes, dents or longevity. Clearance stock is sold as is, all purchases must be signed for. No refunds or returns on Clearance purchases. *Fontaine terms and conditions apply.